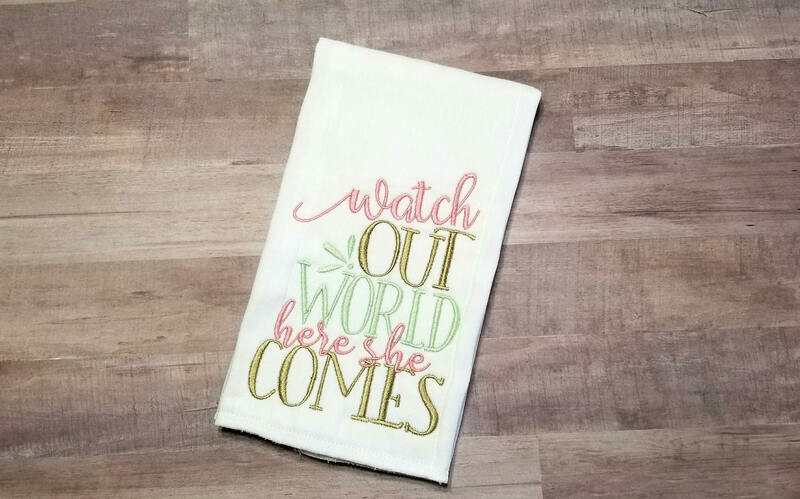 Beautiful burp cloth with the saying "Watch out world here she comes" in pinks, golds, and mint green. 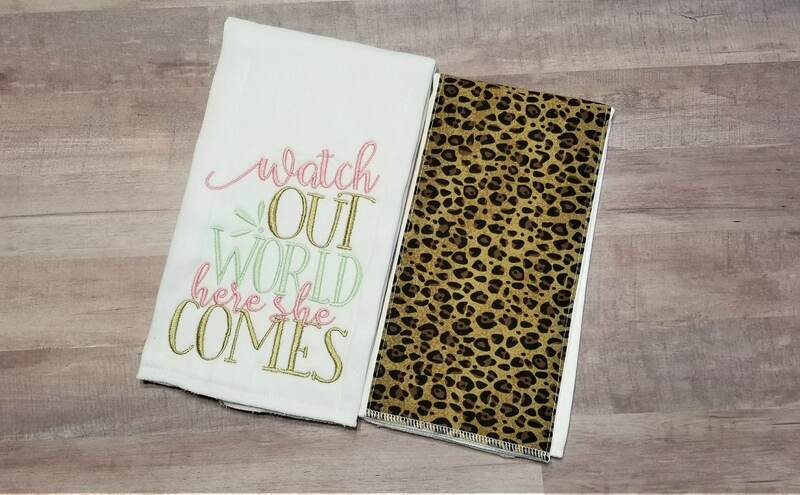 Stitched in the USA on Osocozy prefold diapers. 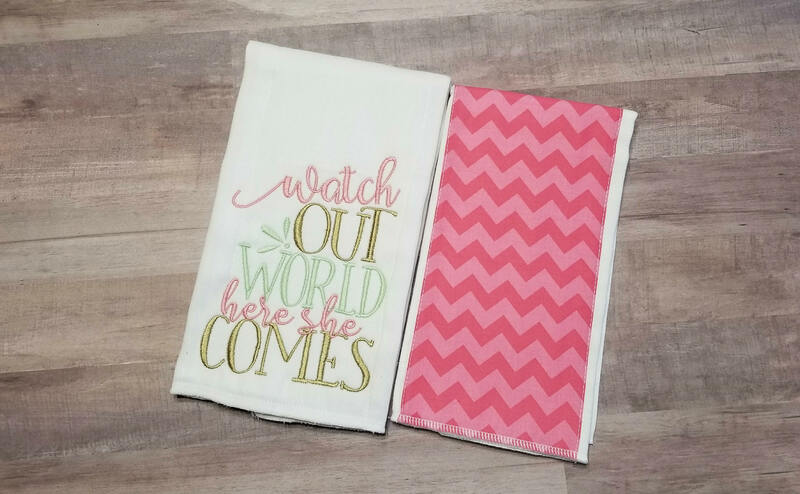 Size is approximately 14" x 21". 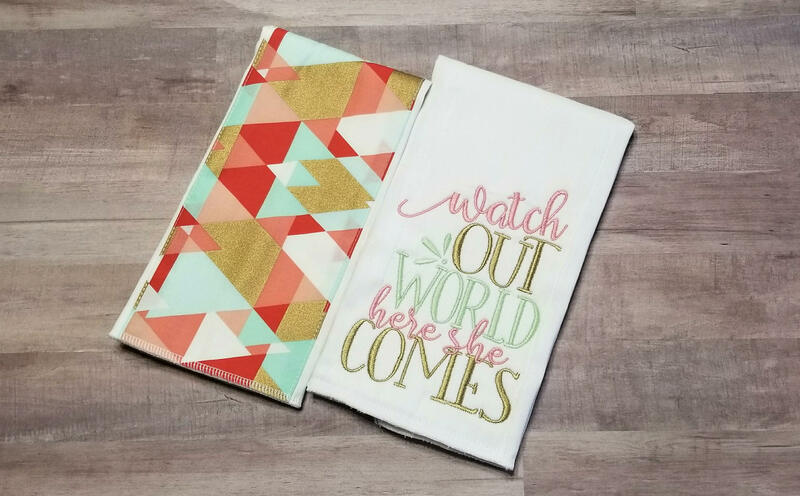 Single Burp Cloth is $10, pair with a coordinating burp cloth & get the set for $15. 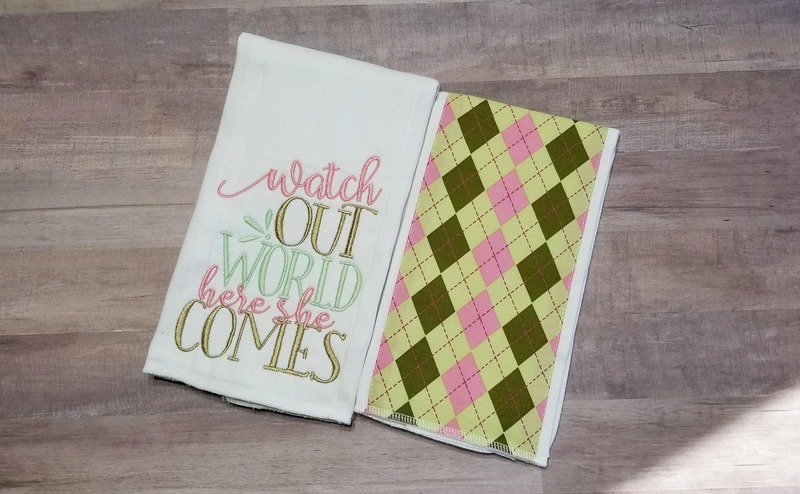 I use cotton fabrics for my coordinating burpies & take custom color requests. 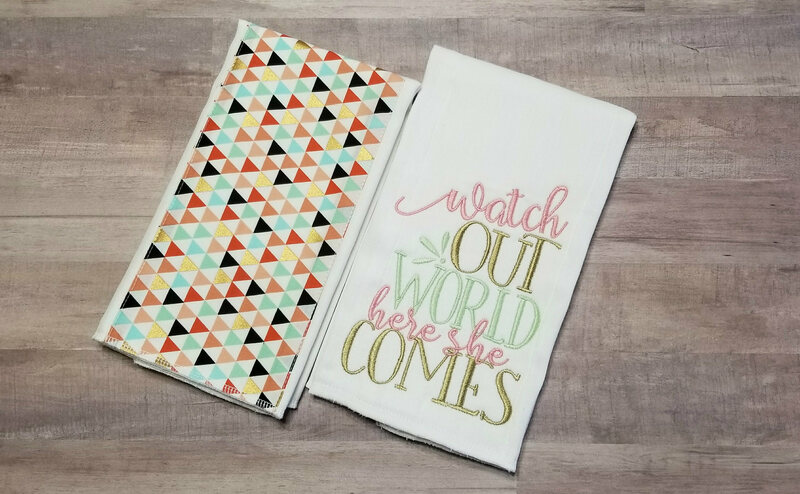 to create a perfect baby shower gift that's sure to be one of a kind!